FIRE MAN DiCillo's doc chronicles the Lizard King's sad descent from musical trailblazer to booze-befuddled burnout. Nearly a half century after the formation of The Doors comes the first documentary about the band. 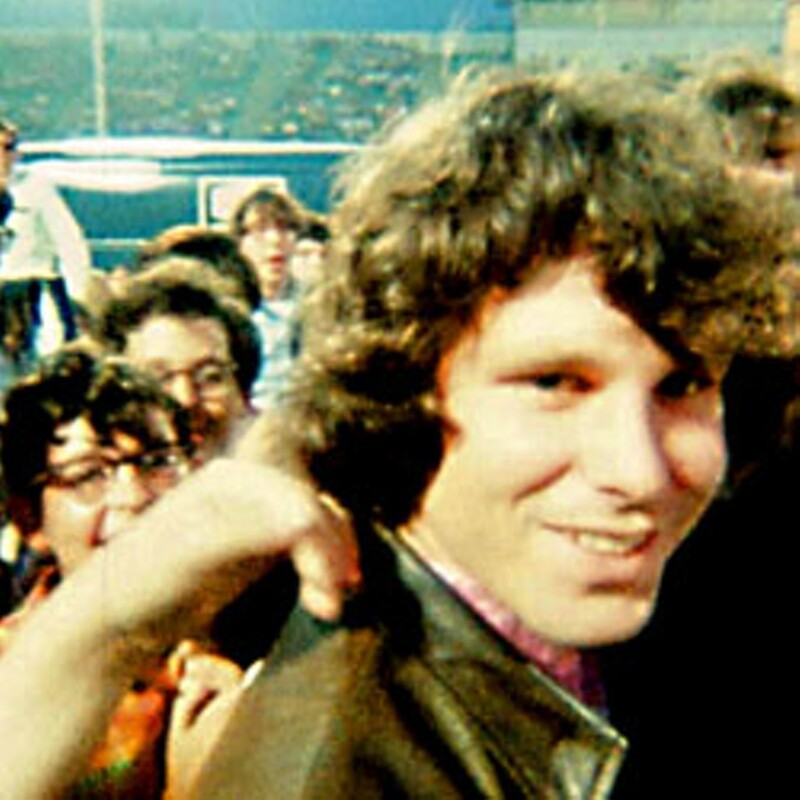 It strikes me as strange that nobody made one before now, but, as we learn in Tom (Living in Oblivion) DiCillo’s fact-packed homage, when it came to Jim Morrison and company, strangeness was never in short supply. The surviving members of the group — keyboardist Ray Manzarek, drummer John Densmore and guitarist Robby Krieger — have squabbled famously over business matters in the years since the frontman’s 1971 death. So it’s even sort of strange that all three gave their blessing to the use of the music and of fascinating, never-before-seen footage. Stranger still that the filmmaker to whom they gave it was DiCillo, a director of decidedly modest accomplishment. He does a craftsmanlike job of stitching together the story of the group, from its early days as the house band at the Whisky a Go- Go, to the worldwide fame, gold records and spectacular onstage meltdowns. Most of the time, understandably, DiCillo focuses on Morrison. Admirers will find it intriguing to watch home movies of the broodingly handsome 16-year-old while narrator Johnny Depp informs them that, at that tender age, “he’s already reading Nietzsche, Rimbaud and William Blake” and “is obsessed with Elvis Presley.” They will also be confounded by the extent to which the Lizard King comes off as an addlebrained, self-important bore away from the studio or stage. One of the movie’s primary revelations, in fact, is just how unexceptional these twentysomething young men were when they weren’t making some of rock history’s most enduring music. (Thirty-nine years after Morrison’s death, more than a million records are still sold every year.) At those moments, lightning often struck, and their talents combined to create songs unlike anything produced before or since. The film contains riveting footage of the four in the process of recording several classics. Another revelation is the degree to which individuals other than Morrison were responsible for those classics. Just as The Beatles wouldn’t have been The Beatles without George Martin, The Doors owe an incalculable debt to producers Paul Rothchild and Bruce Botnick for shaping their material and refining their sound. Also, who knew Krieger composed so many of the band’s hits? Or that he picked up the electric guitar just six months before laying down his majestic tracks on the debut album? The film sent his stock up big time in my book. Less interesting — and, in some cases, totally irrelevant — are sequences in which Morrison passes out in midperformance, hippies dance at unspecified concerts, protesters burn draft cards, bombs fall on Vietnam, police hose down civil-rights marchers, RFK and MLK are shot and Charles Manson is arrested. DiCillo’s picture could’ve justifiably received a rating of ADHD. In the end, the movie is redeemed by the music. As was Morrison, whose favorite vocalist by the time he’d achieved acclaim, we learn, was Frank Sinatra. Though Morrison was insecure about his singing, describing it as a “sick croon,” his ranks as one of rock’s all-time great voices. And you can hear Sinatra in there along with a host of heroes, gods and demons. It’s a singular creative legacy, and DiCillo’s film succeeds in placing The Doors in proper historical context. He flakes out, though, in giving equal weight to baloney about the whole “doors of perception” business and Morrison’s being “like an ancient shaman leading his followers into worlds they’d never dare enter alone.” As this movie makes painfully clear, the rocker ended up about as enlightened as the average L.A. barfly, and the only time he broke on through to the other side was in a Paris bathtub.